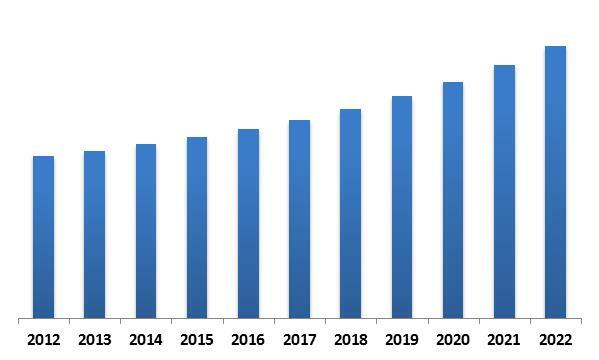 According to a new report Asia-Pacific Thermal Imaging Market , the market is expected to attain a market size of $2.4 billion by 2022, growing at a CAGR of 8.8% during the forecast period. 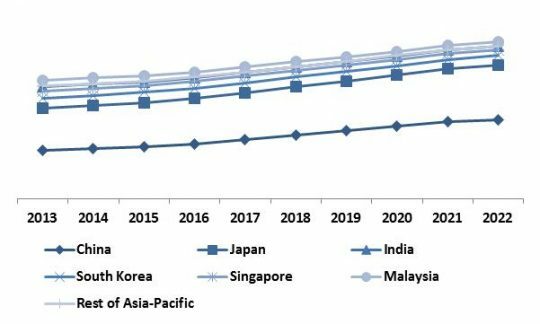 Asia-Pacific Thermal Imaging Market Revenue Trend, 2012-2022 ( In USD Million)[/caption] In 2015, China dominated the Thermal Imaging Market in Asia-Pacific by Country with market revenue of $432.6 Million. However, Malaysia would exhibit maximum CAGR of 11.2% during the forecast period (2016-2022). Asia-Pacific Thermal Imaging Market Growth Trend, 2013-2022 The report covers the thermal imaging market in Asia-Pacific by component, application, end user, and Country. In 2015, Hardware segment dominated the Asia-Pacific Thermal Imaging Market by Component Type, and expected to be a dominant segment during the forecast period due to increasing deployment of various devices such as cameras, sensors, lenses, and detectors in various industries for surveillance, threat detection, firefighting, personal vision, research and development, and others. However, Services segment would exhibit maximum CAGR of 13.0% during the forecast period (2016-2022). 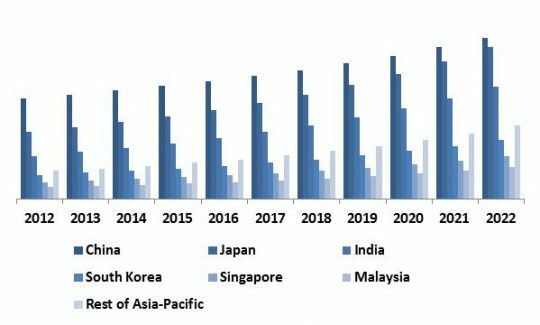 Asia-Pacific Thermal Imaging Market Revenue by Country, 2012 - 2022 (in USD Million)[/caption] In 2015, Military and Defence segment dominated the Asia-Pacific Thermal Imaging Market by End User, and would garner market revenue of $1,588.0 Million by 2022. This segment would grow with a CAGR of 8.4% during the forecast period (2016-2022). 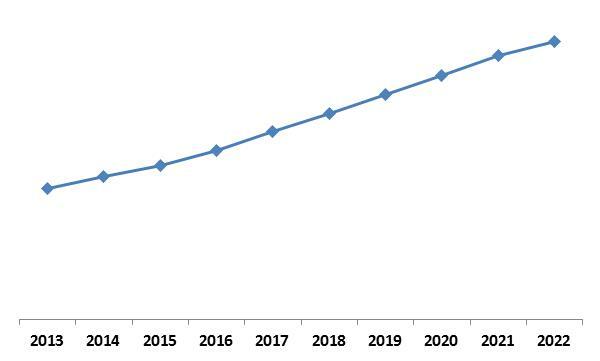 Asia-Pacific Thermal Imaging Market Revenue Trend by Country, 2013 - 2022 (in %) Thermal imaging products and services are now being increasingly adopted in various application areas such as automotive, veterinary, threat detection, and commercial & residential security, adding to the market growth in Asia-Pacific. The application of thermal cameras within the automotive sector is gaining prominence as the technology is used largely to enhance night vision which reduces the risks of driving at night or in smoke/fog conditions. Therefore, the segment is anticipated to grow at the highest CAGR during the forecast period. Thermal cameras are used in detecting places, people and also for collecting more useful information from the captured video data. The technology is widely used in military and defense majorly for border patrolling and border security. This has led the surveillance application segment to be a dominant segment within the thermal imaging market, holding the highest market share in 2016. 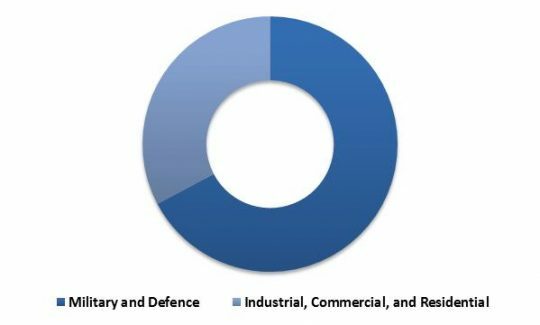 Asia-Pacific Thermal Imaging Market Revenue Share End User Type 2015 (in %)[/caption] The report has exhaustive quantitative insights providing a clear picture of the market potential in various segments across the Asia-Pacific with country wise analysis in each discussed Country. The key influencing factors of the Asia-Pacific Thermal Imaging market have been discussed in the report along with the elaborated company profiles namely Honeywell International, Inc., BAE Systems, Flir Systems, Inc., Danaher Corporation, L-3 Communications Holdings, Inc., Axis Communications AB, Raytheon Company and Thermoteknix Systems Ltd.